They say dogs are a man's best friend, and what's the point of having a best friend if you can't buy them a beer every once in a while? 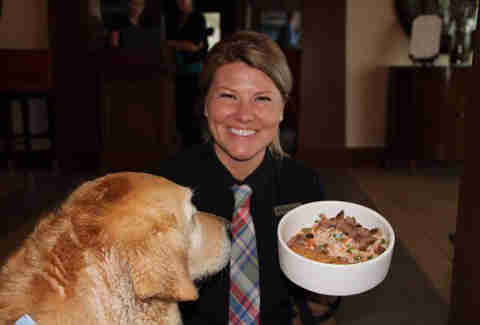 While it might seem gluttonous to feed a NY strip to a schnauzer or give a bulldog a brew, restaurants across the country are indulging dog owners' willingness to pamper their pups by offering specialty canine-only menus. 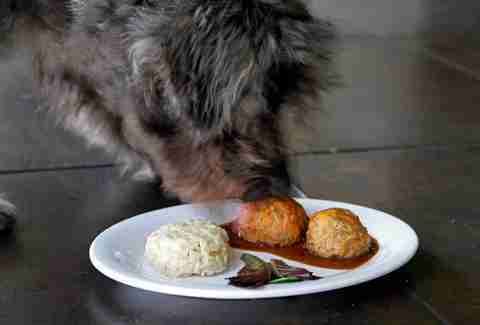 Here are 10 such restaurants that are willing to throw dogs way more than just a bone. This modern new-American meets Latin hotspot near Old Tampa Bay is one of the nation's premiere dog destinations thanks to scrambled egg brunch bark bowls, meaty entrees, and most importantly, non-alcoholic dog beer. Since 1945, Hamburger Heaven has been flipping some of the finest patties in Florida, but they've also got your dog covered with a steamed salmon dish and a roast turkey canine casserole. 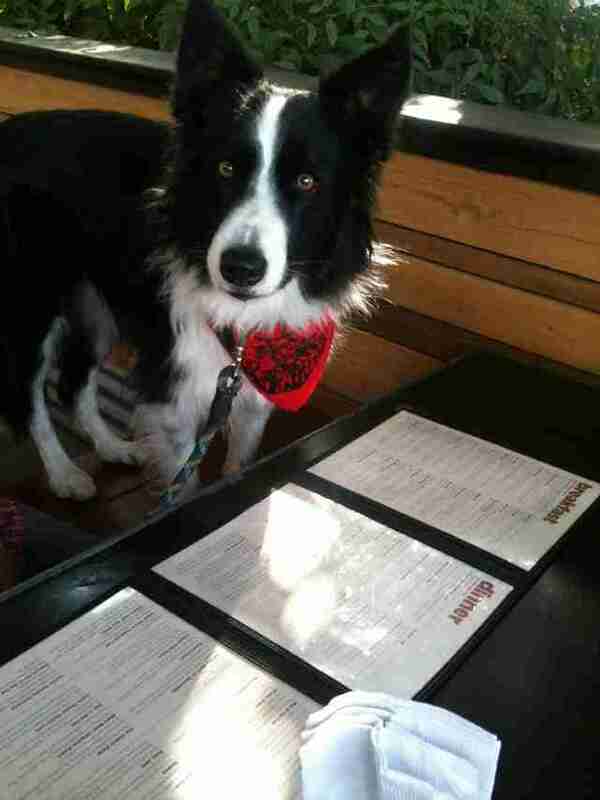 Or, you could just buy your dog one of their burgers, if you don't want him to look fancier than you. 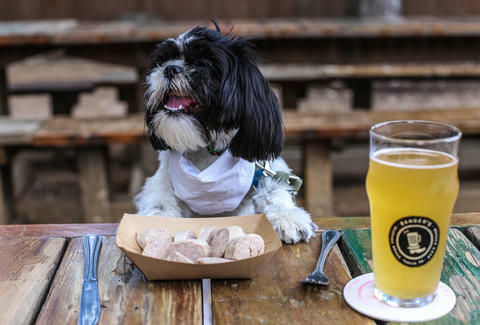 Finally Fido can experience James Beard award-winning cuisine via the Pooch Patio menu at Art and Soul, which Wine Enthusiast named to its top 100 restaurants. Despite their love of litter boxes, dogs can still have impeccable taste. Nestled up against Crescent Beach, the Inn by the Sea offers luxury accommodations for you and your pet, including a special four-legged menu at their restaurant Sea Glass, which features a ground-beef Meat Roaff, Doggy Gumbo, and even dessert, a big step up from the usual doggy digestif of licking one's own crotch. Formerly a Prohibition-era speakeasy supplied by Canadian rum runners, Moss Beach Distillery is now a seaside destination restaurant known for a spectacular brunch and hallways that are haunted by the spectre of a woman supposedly killed on the seashore near the restaurant. The place is also haunted by the ghosts of hundreds of dogs' appetites. Dogs eat free on Tuesdays and get special discounts if they're wearing a Tin Shed bandana at this hugely popular spot in the city's Alberta Arts District. Given that this is Portland, the bandanas are probably tied to a locally made hemp dog collar. 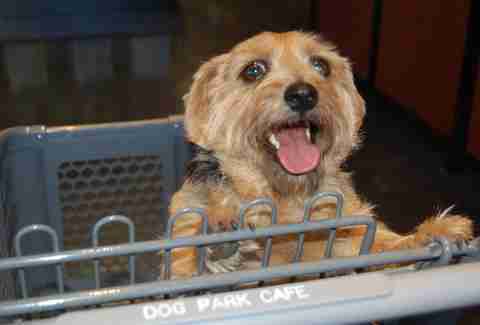 Owners are seriously neglected at Dog Park Cafe, whose menu is designed exclusively for canine companions. The extensive offerings include the I Chihuahua Chimichanga, a cheeseburger and fries, and a Hot Doggie in a Blanket. 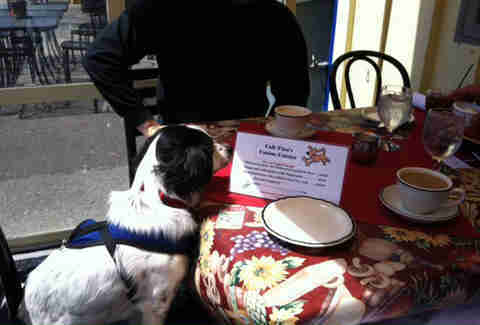 If your puppy has a sweet tooth, they also do a full doggie dessert menu. This spot on the bustling Fisherman's Wharf is a favorite of everyone from Jay Leno to Damien Marley and ravenously hungry animals, who apparently eat better than most humans. 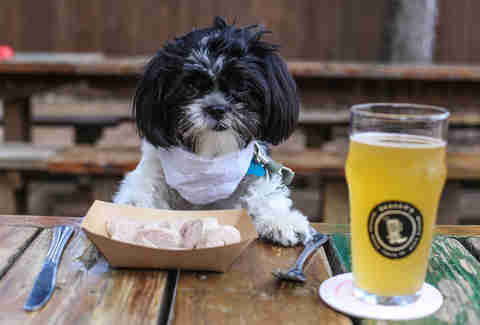 In addition to a massive tap selection, specialty sausages, and limited-time specials like a late-night stoner menu, Banger's is so dog friendly they've got a fenced-off dog run, Mega Mutt Mondays with dog vendors on site, and a special doggie sausage that gives proceeds to a local poochie non-profit. Cafe Limelight is a quaint gem that's the place to go to in Santa Cruz for some seriously loaded paninis. 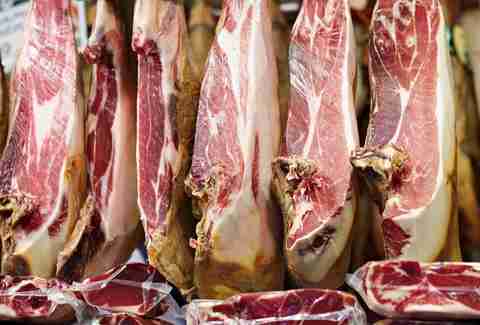 And also pig ears for the pups, plus chewable dental sticks to clean their teeth and get rid of pig-ear breath. Dan Gentile is a staff writer on Thrillist's national food and drink team. He is the proud owner of that adorable Shih Tzu who had some not-so-adorable shihs after eating those Woof Wursts. Follow him to responsible dog ownership at @Dannosphere.